Bringing Advanced Manufacturing Back to America, One Veteran at a time! Workshops for Warriors provides quality hands-on training, accredited STEM educational programs, and opportunities to earn third party nationally recognized credentials to enable Veterans, Wounded Warriors, and Transitioning Service Members to be successfully trained in their chosen advanced manufacturing career field, all at no cost to the Veteran. 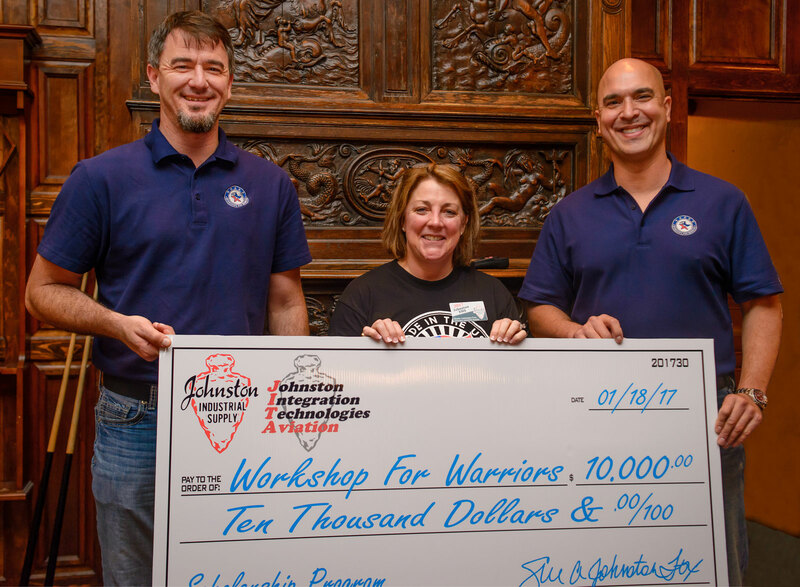 Johnston Companies contributed $10,000 towards the Workshops for Warriors program in January of 2017 and also pledged to contribute $100,000 over 4 years to help support the training programs and scholarships for the Veteran students at Workshops for Warriors. At Johnston Companies, supporting organizations like Workshop for Warriors is inherent to our culture that began with our founder, George Johnston’s service in the United States Air Force. We are looking forward to developing a long-standing relationship with this great school and would like to encourage you and your company to support the Workshops for Warriors. Workshops for Warriors addresses two challenges: The need for lifelong employment among Veterans transitioning from the service, and the limited pipeline of skilled workers in the advanced manufacturing industry. According to a recent Ford Foundation report, more than 2.3 million advanced manufacturing jobs in the United States are unfilled due to a lack of skilled labor. Through the generosity of private and corporate donations, Workshops for Warriors is able to provide training at no cost to the Veterans so that they can focus on school and not survival.